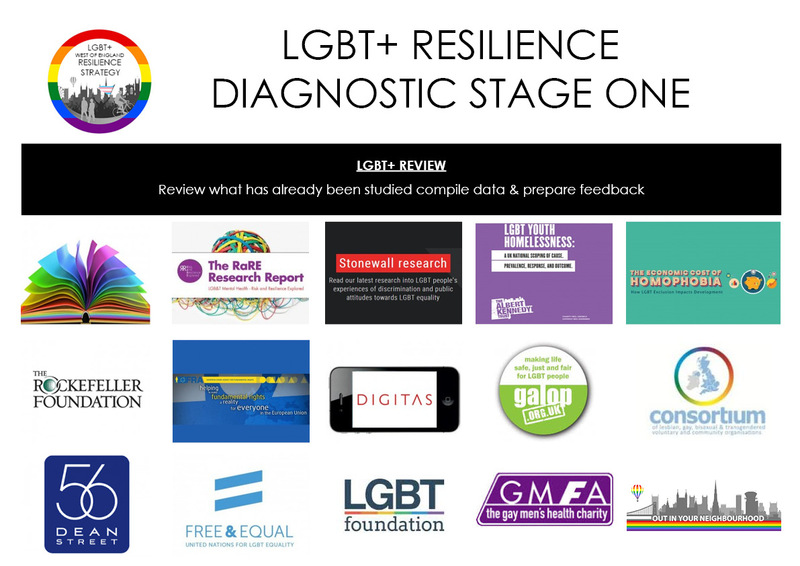 Back in 2014 the LGBT Chief Executives Network, facilitated by LGBT Consortium, produced a national LGBT manifesto and a Trans manifesto was developed by an alliance of Trans organisations (see links below). 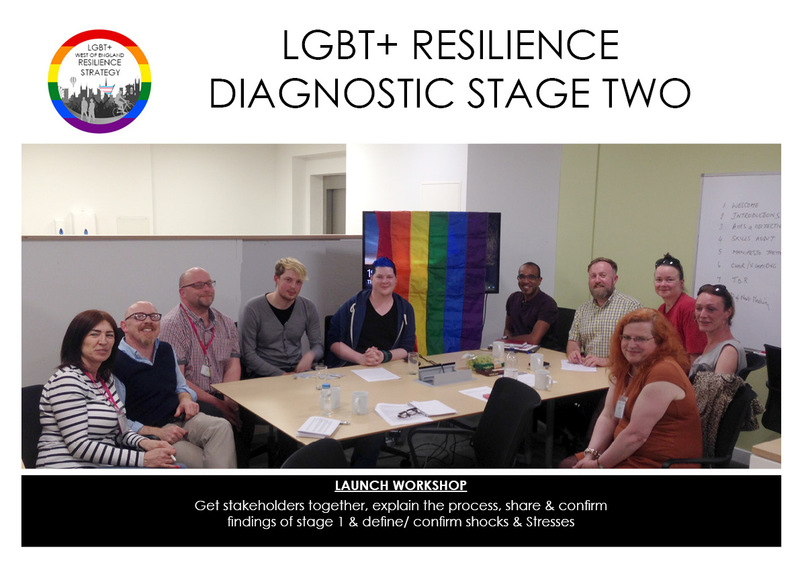 Leading on from this pioneering work by the LGBT Consortium, the LGBT Communities of the West of England lead by Out Bristol are working on an LGBT+ Resilience Strategy for this region. 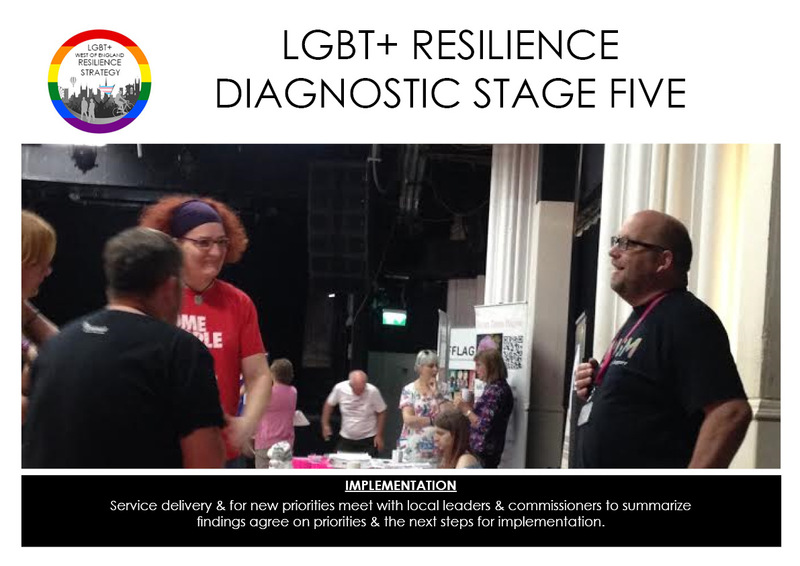 What is the LGBT+ West of England Resilience Strategy? 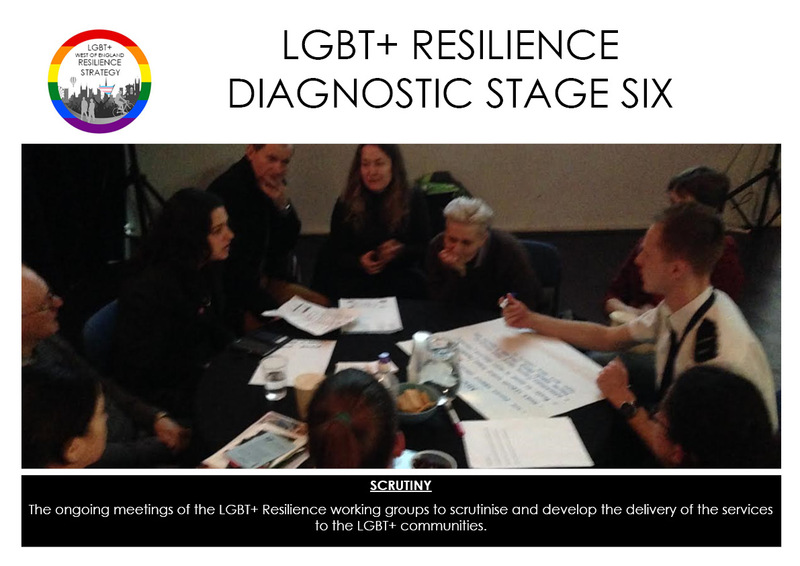 LGBT+ Resilience is a plan of what the LGBT+ communities want and need. This is based on direct feedback via events and questionnaires. These wants and needs are backed up by local, national and international research. The Plan also outlines how these wants and needs can be met and how this plan can be delivered. 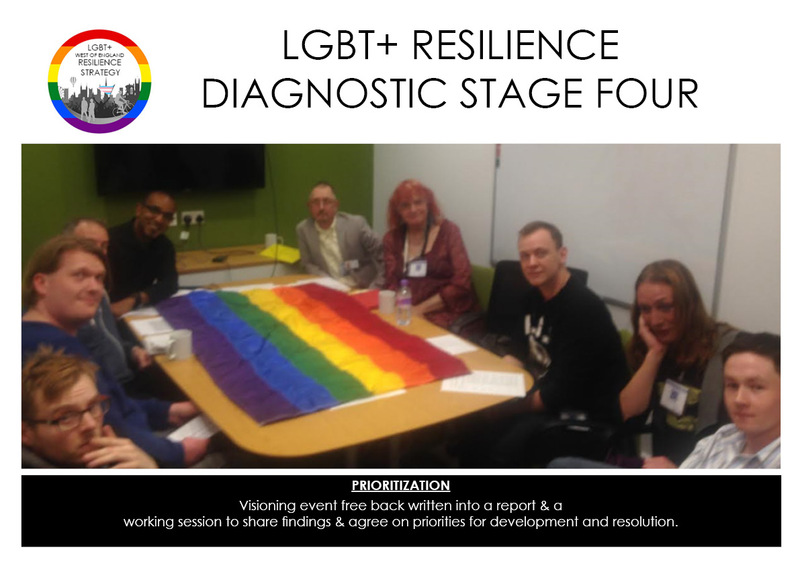 Research shows LGBT+ Communities face inequalities in their daily lives which effect mental, emotional and physical health, safety, education, drug and alcohol use, housing, visibility and influence. These inequalities result in loss of potential to the region. 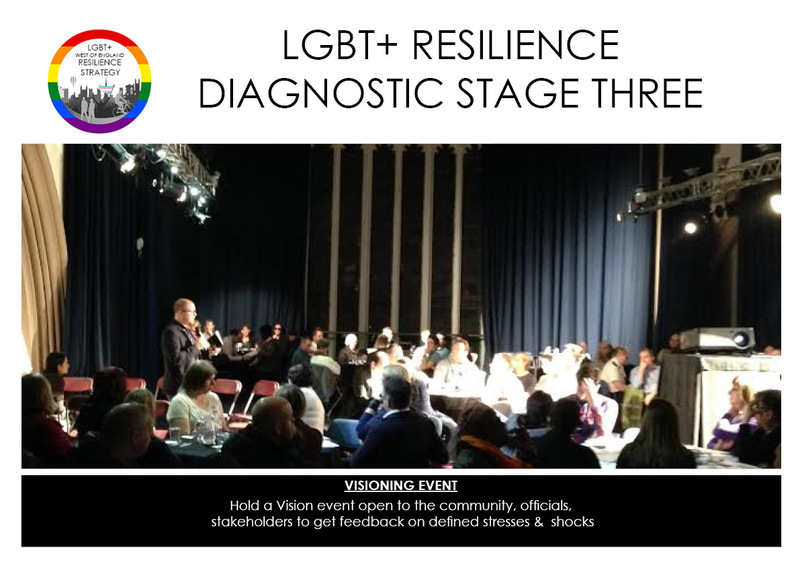 How is the LGBT+ West of England Resilience Strategy being created? 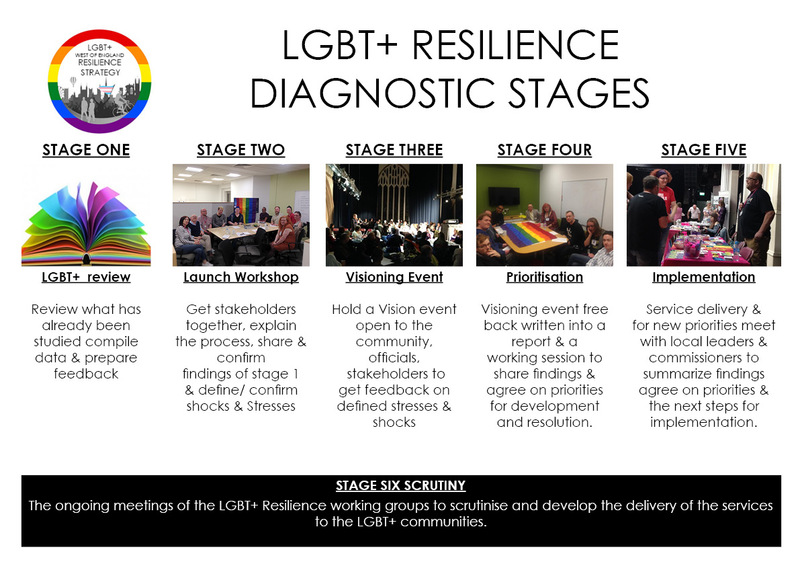 The strategy is created using six stages to diagnose the inequalities facing the LGBT+ Communities with the aim of enabling the LGBT+ communities to flourish and reach their potential. 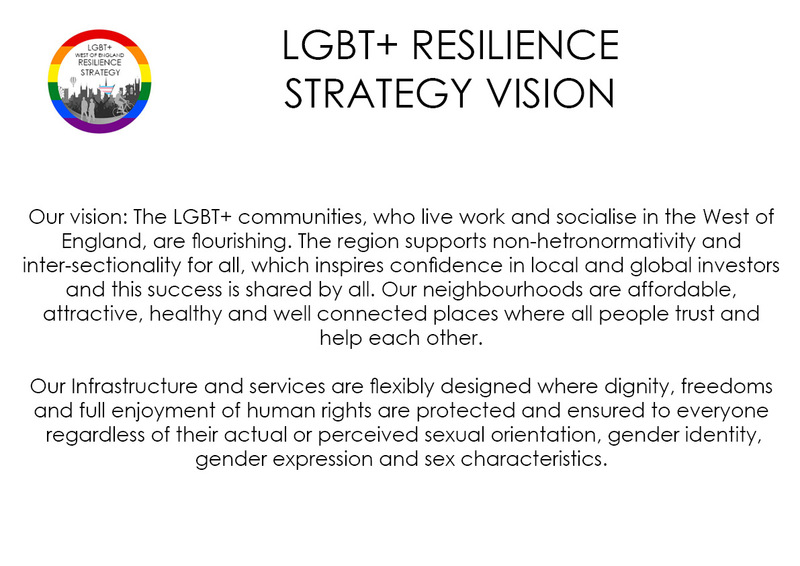 To find out more details regarding the LGBT+ Resilience Plan please click on links below.